Empowering people with our digitized health and wellness products and services. At HISL, we are building a bridge between healthcare seekers and health service providers. We envision an overhaul in the existing but outdated healthcare landscape and make it more people-centric. 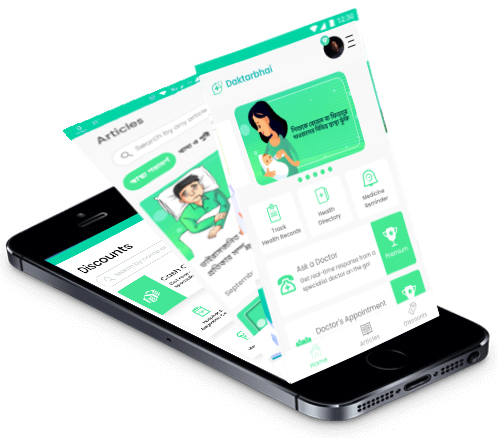 With our flagship “Daktarbhai” app, we are connecting the dots of the currently fragmented healthcare ecosystem and enabling the common people to take charge of their own health. Managing health records by individuals to "take charge of their own health" in a shareable and interoperable platform. If you have any medical quarries, ask a free question using ‘Ask a Question’. With Daktarbhai you can enjoy “Book Appointment” with doctors of your choose specialists. With Daktarbhai you can Find Ambulance, Hospital, Pharmacy, Blood Bank in Bangladesh.
" RMG sector works are very poor and are not at all health cautious. These workers are between the age limit of 18 to 30 years old. Their lack of health awareness is causing absenteeism. But a working with Health Care Information System Ltd. has reduced absenteeism in workers and increased our ROI "
"I congratulate such an initiative by Health Care Information System Ltd. I believe this awareness program should be implemented in other RMG factories and other sectors with such workers. I hope this program deeply intertwines with the entire system in Bangladesh and spread the same goodness as it has provided us. " " I wish all the best to this awareness project as it is deeply needed by poor low grade earner garments workers. The workers at these factories will receive free treatment for being a part if this organization. " " We thank Health Care Information System Ltd. for providing us with such free treatment. It would have cost us a lot, if we were to receive this treatment elsewhere. " " The cashless treatment that we are receiving is truly beneficial for us. "